21C Hotel- Ultimate Overnight – Go There. Try That. As a Christmas gift, my husband took me for an overnight to the 21c Museum Hotel in downtown Cincinnati. This gift idea originated during one of our Louisville, KY weekend getaways. 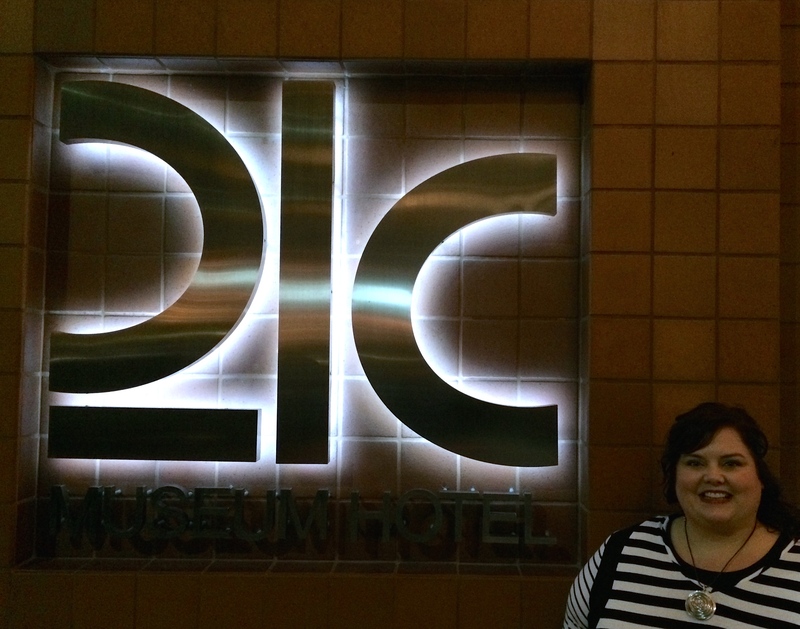 Although we stayed in a different hotel while in Louisville, we visited the museum inside the 21c hotel as one of our GO THERE adventures. I was in awe of the artwork and the hotel. And did I mention the museum is free AND open 24/7? Yep! When Cincinnati opened a 21c location, I wanted the entire experience: hotel, museum, and Metrople (restaurant). I love overnights and stay-cations! This was a perfect gift for me (nice job babe). If you aren’t sure where this hotel is located, maybe you’ve seen the famous yellow penguins sitting outside. The hotel sits directly across from the Aronoff Center. 21c offers several packages. 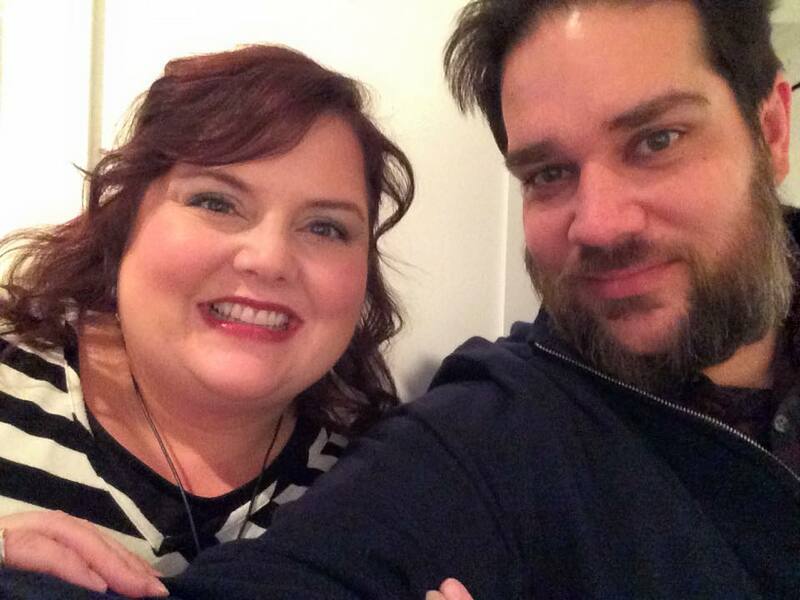 We chose the Dine with Art package which included a $25.00 voucher to use towards our dinner. 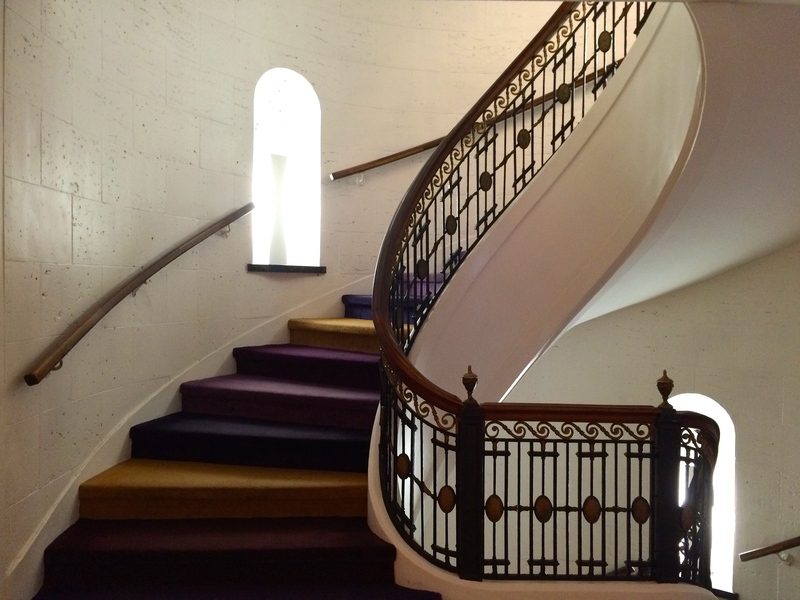 The building itself is a renovated work of art. Over 100-years old, this hotel is a Cincinnati historic landmark. Old meets new here. Beautifully crafted architecture and modern art around every turn. The rooms are clean, bright, and whimsical. For example, the shower includes body parts built into the tile and the desk in the main lobby is an installation piece with a million little plastic figures built inside the table. So cool. And I must give a shout out to this incredibly friendly staff. Can you tell I adore this place? 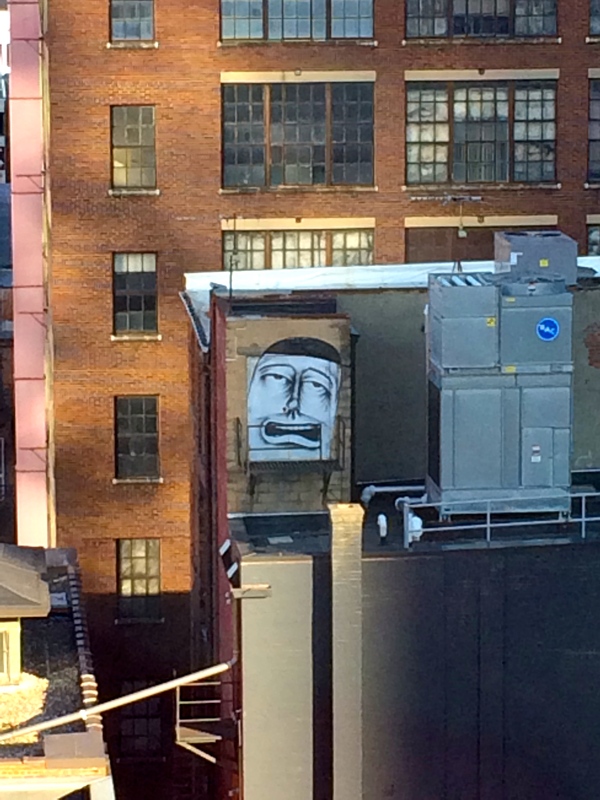 Even the view from our hotel room was coincidentally whimsical. We started off our visit by checking into the hotel and relaxing! Not gonna lie, I brought a book. Glorious. If you really want to live it up, and have some extra funds for a splurge, the hotel has a spa. Maybe next time! The rooms feature Malin+Goetz products; the peppermint soap sent me to the hotel gift shop perusing the selection. After kicking back in the room for a bit, we headed down for dinner. I would definitely suggest making reservations ahead of time. When I’m dining at a new place, I often ask the waiter for recommendations. Our waiter, Clinton, was charming and helpful. The menu at Metrople changes frequently so I suggest going with the current special. The food here is fresh, local, and seasonal. And remember those popular penguins, it was fun watching the diners cozy up to them! 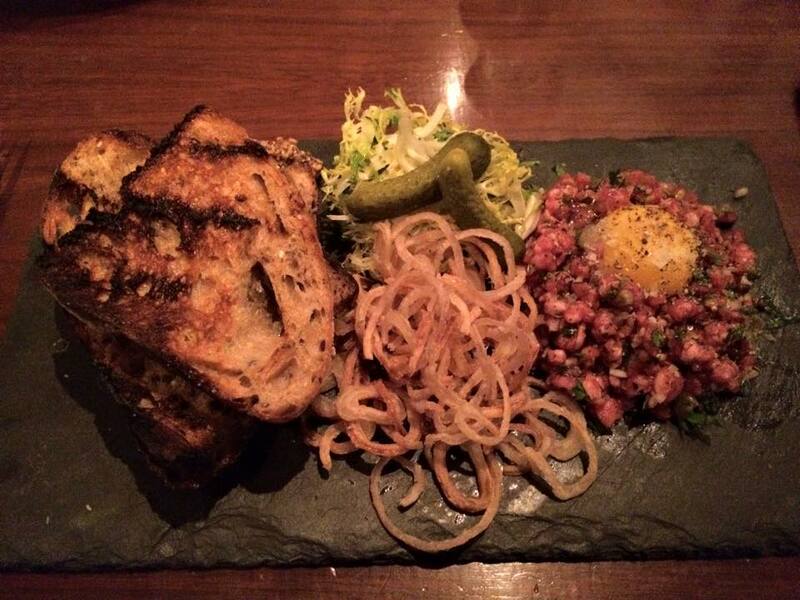 I tried steak tartare for the first time and found it decadent. Seriously, TRY THAT. And you know how some restaurants bring you a fortune cookie or a mint? Not here. I’m a dessert girl so let me just tell you how excited the surprise, homemade, citrus cotton candy made me. Didn’t share and don’t care. After dinner we perused the museum. There are paintings, interactive pieces, photographs, and more. We took our time and discussed several pieces at length. Great date night conversation. 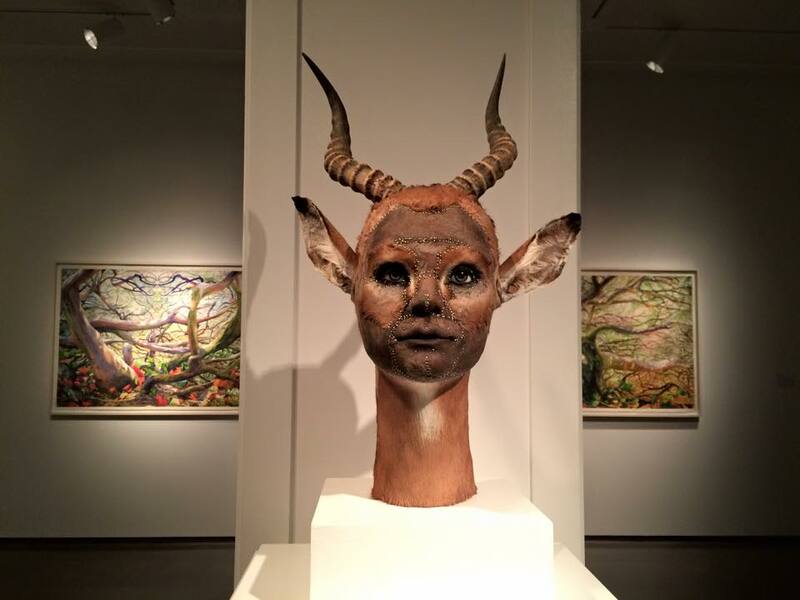 The exhibits in the gallery at 21c change so you can definitely go more than once. Remember, the museum is free to the public and located next to the Contemporary Arts Museum which is fantastic. If you are so inclined, because 21c is located downtown, you could walk to other restaurants, take in a show, or visit Fountain Square. The same night we stayed at 21c, we ran into my boss who had also brought his wife for an overnight. Great minds! GO THERE (21c)! TRY THAT (museum)! What a fun blog post! I especially like the pics of Ed, lol! I can’t wait to read more. Excellent job, Mindy!